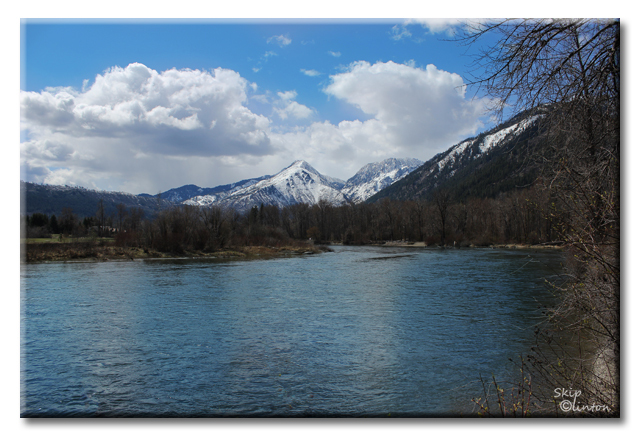 We have always loved the mountains and some of our favorite vacations have been when we were surrounded by beautiful mountain ranges. Mount Rainier is incredible, and I love knowing our daughter gets to enjoy it every day. Are you a mountain or beach type person? oh wow... sadly our area is as flat as a pancake... maybe a mole hill counts too? We love both, but for walking and hiking. We are not the beach ones who sit there on a towel all day. Oh those photos make me wanna go walkies in the mountains right NOW!!!! We get altitude sickness on a stepladder so no to the mountains. You look so manly in your hiking boots, Bentley! We love the mountains and the beach! We don't have any mountains around where we live. But we do have rolling hills and lakes and waterfalls. Wow! Those pictures are gorgeous! Ha ha! 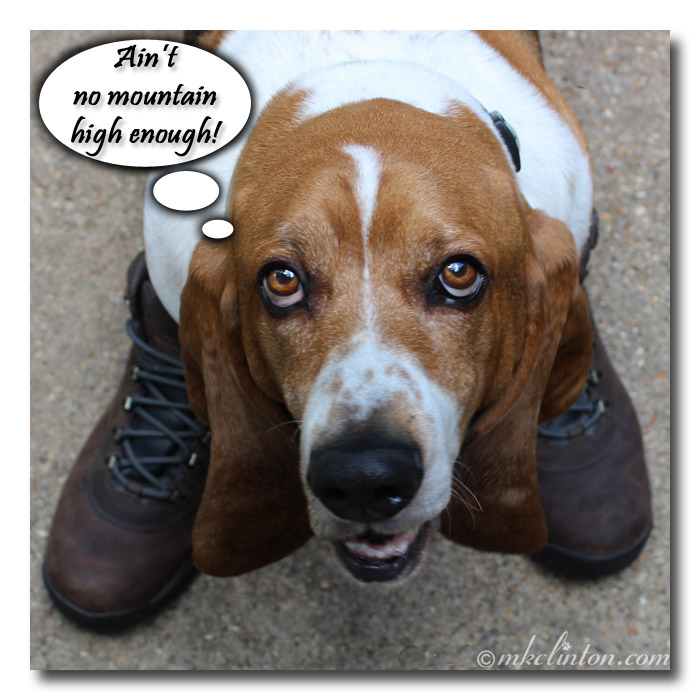 Love the picture of Bentley in his hiking boots! Wow, how timely...today is Colorado's 142nd birthday, home to more 14K ft. peaks than any other state (almost 100). Love seeing the pic of Bentley between your hiking boots! Happy trails. Love both, but my fear of heights means no mountain climbing for me! We kinda like both the mountains and the beach. I love them both but prefer it warm sonim taking the beach! We love both! Mt. Rainier is amazing. We have relatives in Seattle, and always marvel at how it is surrounded by mountain ranges and water. Definitely mountains! Not a fan of the beach. Wells, since Ma has NEVER taken me to the beach, (I KNOWS! is that doggie abuse??? ☺) I have to say the mountains! Cause there are so many FABulous smells and all kinds of fun critters to bark at and chase! I absolutely love both mountains and beach! Mt. 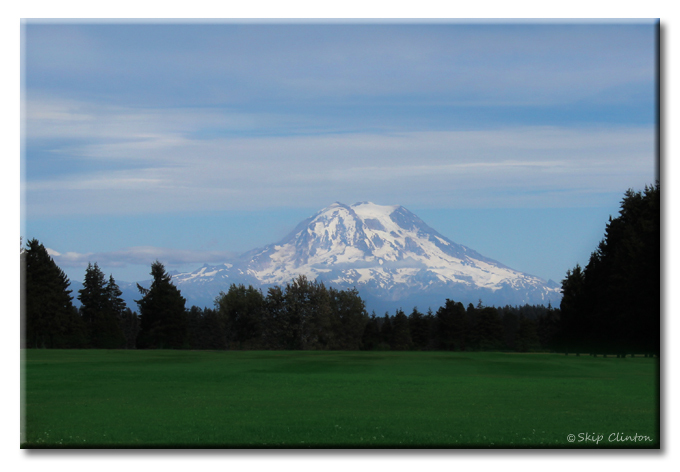 Ranier is spectacular, we didn't get to hike it but we loved seeing the majestic views of it when we visited Seattle.